FILMMAKER IN ATTENDANCE – A FRAGILE TRUST tells the shocking story of Jayson Blair, the most infamous serial plagiarist of our time, and how he unleashed the massive scandal that rocked The New York Times and the entire world of journalism. In 2003 Blair was caught plagiarizing the work of other reporters and supplementing his own reporting with fabricated details in dozens of different stories published in The Times. 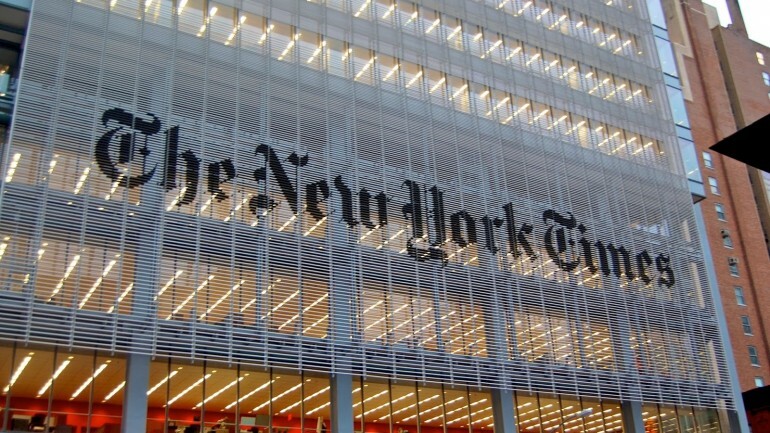 The ensuing media frenzy left a major blemish on the history of the ‘Old Grey Lady’, which just a year earlier won a record seven Pulitzer prizes for its coverage of 9/11. It was a spectacular fall for both Blair and the paper. The ‘Blair Affair’ served up sordid details in a soap-opera style tale of deception, drug abuse, racism, mental illness, hierarchy, white guilt, and power struggles inside the hallowed halls of The New York Times. A FRAGILE TRUST follows Blair as he slowly unravels in the face of mounting pressures and distractions. Starting with his ‘reporting’ of the plagiarized article that ultimately lead to his undoing, we trace the rise and fall of this fascinating young reporter as he clings to his career at The Times even as he is losing his mind. A FRAGILE TRUST is at the most basic level a compelling, character-driven narrative about an important chapter in the history of journalism. It is also a complex story about power, ethics, representation, race, and accountability in the mainstream media. Featuring exclusive interviews with everyone involved, including former Executive Editor Howell Raines and Blair himself, A FRAGILE TRUST is the first film to tell the whole sordid story of the scandal while exploring deeper themes.